Just added it guys, have fun! Thank you as always skip and slapshot67, I am a big fan of your edits! Thanks! I just went through it and it only freezes with Winnipeg, no freeze on Washington. Yes, it's an issue with the base 32-team ROM that both updates use, not with something the creators of these specific updates have done. KNOWN BUG: The menu screen will freeze if the player cards begin to cycle for team #31 - Winnipeg. There is no known fix for this. Remember when the 32-team ROM was just a dream? @skip Hey buddy. As always, nice job on your rom! You, me and Naples all put this same disclaimer in our rom posts but, it still comes up within those very posts. That said, does it make sense to make a new post regarding the Winnipeg Freeze and making it a sticky within the Gens Rom section? That way it is as public as public can be? There is actually a fix to the Winnipeg Freeze bug but, it then affects/disables player card data. So, basically trading one issue for another. You, me and Naples all put this same disclaimer in our rom posts but, it still comes up within those very posts. That said, does it make sense to make a new post regarding the Winnipeg Freeze and making it a sticky within the Gens Rom section? That ﻿way it is as public as public can be? Or, it really long naming convention, for the rom/post, like "2019 Trade Deadline Rom by Skip/Slapshot67 with Winnipeg Freeze Bug Included - see original post for details". Worth noting, it will not crash if you use Kega Fusion. It will for Gens or Retroarch (and perhaps other emulators). I don't think a separate post about the bug will help. Might want to just lead the main post with "NOTE: (bug details)" and then repeat that right above the downloads. In this thread it's kind of buried in the middle. One thing I learned from running Blitz league, is the longer something is, the more people will ignore in it. When you create a new rom thread, make 2 posts in the thread right away. The first post is very short, and contains only the most relevant info, the ROM, and the warning about the bug. The 2nd post contains less critical details/notes, pictures, etc. I'll do one final update for the Stanley Cup playoffs, right before it begins. I'll make some minor player overall adjustments based on stats, final team ratings, pp/pk, etc. All that good stuff. Fantastic ROM. I've been playing a playoff and having tons of fun. But, why is the in-game save function not included in the game? Was it removed for a reason? The thing is that I've been playing this on Retroarch on my Android phone and having made it to the Stanley Cup, I was hoping to be able to take the save state and switch to Retroarch on my PC so I could finish this properly (if I win of course) on my TV, something I never once did on the cartridge. I'm being told by Retroarch people that an in-game save works but not save states. Thanks! Not sure though, we use F5 for savestates on both hamachi/gens and retroarch. That should work just like any other savestate, I think, but I have never tried it between two different machines. Right, but what I'm saying is that NHL94 has a save function in it by default doesn't it, that would store to the ROM cart? Where you would enter in your username and it would store your stats? Why is that removed from the modded ROMs? If I had to guess: The save has a limited size, and perhaps the original game used all the bytes and it was not possible to add extra teams in the save. No no, I don't think you're understanding what I'm saying. The game, as originally released, permitted you to save your progress through a playoff. You entered in a username and it would track your playoff for you. I'm not talking about adding teams. That way you were able to resume your playoff on another day. What I'm asking is why isn't that in the modded ROMs? Obviously someone from the community at some point took that feature out. Why, is what I'm asking? That does work typically anyway with roms played on GENS or KEGA. I am not sure why it isn't working for you or with this rom. It works with all my Historic roms. Best of all get an Everdrive and an Original Genesis play all these roms just like its 1994! Nobody has since looked into that issue or updated for a fix. Every single mod since has basically been a byproduct of @wboy's work. And of course I never noticed "Per. Length" was changed to "Period Len." All good and true points by @kingraph except this I can tell you that it works just fine. I do keep a back up of the roms I am using it on just in case as @wboy said it does corrupt something, but I have never had any issues. I also thought that you meant it was not keeping your progress through the playoffs, which should work just fine. User Records: It'll probably work fine as long as you're not using teams beyond the first 28 teams. Playoffs: I could be wrong, but I don't think you actually have to use User Records to keep your playoffs progress? It should remember the last "anonymous" playoffs. If it's not working, try the original nhl94 game and see if it works there. If not, then it's your emulator unfortunately. All I can tell you guys is that I'm playing on Retroarch and the option for user records isn't there. Now, it's possible that if i take this particular ROM and load it in Retroarch on my pc, it will set the playoff in progress. I'll try that. I just assumed, despite being a Gens user on my pc, that Retroarch had become the most community friendly way to play Genesis ROMs. So i went with that on my phone. 1. When you say it "isn't there" do you mean the line is completely gone, or it is replaced with a line that says "Leave Off"? Or something else? 2. If "Leave Off" is there, can you change that option to "On", or does it not let you change the value?
" The thing is that I've been playing this on Retroarch on my Android phone and having made it to the Stanley Cup, I was hoping to be able to take the save state and switch to Retroarch on my PC so I could finish this properly (if I win of course) on my TV, something I never once did on the cartridge. I'm being told by Retroarch people that an in-game save works across platforms but not save states. " Also, I have that SRM file. Retroarch won't acknowledge it on my PC. Gens on Android would be great, but as far as I can tell that doesn't exist. This is funny and a good insight into Human Behavior and differences between people. 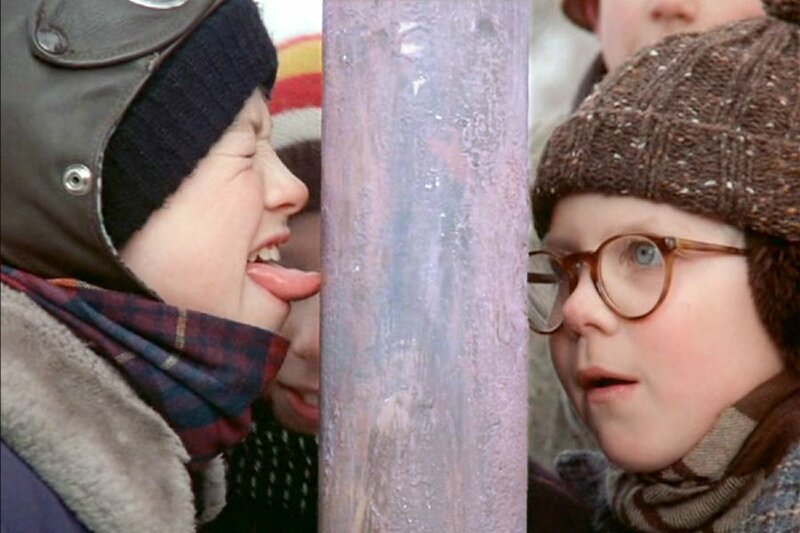 But, trust me your tongue will not stick to the pole. Based on what you have said and experienced, it sounds like you can not make that change over. Well, I ain't Flick. So I'm not doin it. ...no that's fine, I'll give it a go. I just didn't try because I was afraid it would break the game or something. But then you guys are saying that the Tourney ROM should offer a User Records setting no matter what and that it's actually Retroarch that's somehow not showing it? Might be best to quickly try it out with the original NHL94 game and see if you can get the SRM transfer working. That keeps the updated ROM's SRM handling out of the equation. If it doesn't work...it would not be the first time retroarch said something would work cross-platform and it didn't. Another possibility is that maybe the location for the SRM files is different on PC than on Android. So you'd want to play the original NHL94 on PC retroarch and verify where it stores the SRM, then replace that SRM with the Android one.